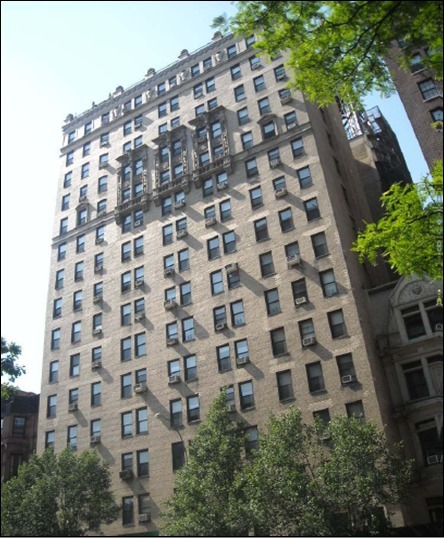 This 16-story pre-war condominium built in 1929 has 79 units and is steps to Central Park. Please read the attached PDF thoroughly . Please be advised that in incomplete application will not be forwarded to the Board. NO EXCEPTIONS will be made. We ask that you refrain from uploading any documents to this requirement. All applicants, co-applicants, guarantors must complete a Consumer Report Release Authorization Form and Tenant Fair Chance Act Acknowledgment Form. The contract of sale as per section 7.2 of the By-Laws must contain the following language: This agreement and the rights and obligations of the parties hereunder are hereby made expressly subject to the rights, if any, of the Board of Managers of The 110 West 86th Street Condominium with respect to the transaction embodied herein pursuant to the terms of Section 7.2 and 7.3 of the by-laws of the said Condominium, as the same may have been amended. Provide a notarized statement from the purchaser that the apartment will be used for residential purposes only. All must be accounted for i f listed, including the most recent bank statements (all pages) and copies of brokerage statements, etc. The amounts set forth on the Financial Statement form must be equal to the amounts on the supporting documentation. Financial Statement amounts and all supporting documentation must be in USD. If funds are held in overseas are held in overseas accounts, a certified bank letter verifying the USD value must accompany said documentation. Provide the latest two (2) years Federal Income Tax Returns years, signed and complete with W-2 forms. Reference letter must be on company letterhead and include salary, length of employment, position, bonuses and prospect for continues employment. If self-employed, provide a C.P.A. Letter stating length of time the company has been in existence, nature of your business, expected net income for the current year, and position held. If retired, provide copies and/or social security award letters. Guarantors must also submit reference/verification letter. Reference letter must indicate the timeliness of rent payments and length of tenancy. If you reside with family members or if you own the home you are currently residing in, please indicate this in writing. Provide one (1) reference letter per applicant. Letters referencing both applicants is also sufficient. Provide two (2) reference letters per applicant. Letters referencing both applicants is also sufficient. NOTE: In the event applicants are not U.S. Residents complete Subject to Jurisdiction and Irrevocable Designation of Agent Form. NOTE: In the event the Seller and the Board of Managers have PREVIOUSLY entered into an Alteration Agreement, complete the Assumption of Alteration Agreement. Seller shall provide a copy of this Alteration Agreement to the Applicant. NOTE: Form is applicable to residential dwellings built prior to 1978. Download the Lead Brochure from the documents section of the building page. Please read carefully the requirements and provide the requested documentation. NOTE: It is the Applicant's responsibility to download the House Rules/Rules & Regulations and Move-in/out Policy and Procedures from the documents section of the building page. Please read the attached PDF thoroughly. Please be advised that an incomplete application will not be forwarded to the Board. NO EXCEPTIONS will be made. We ask that you refrain from uploading any documents to this requirement. All applicants, co-applicants, and guarantors must complete a Consumer Report Release Authorization Form and Tenant Fair Chance Act Acknowledgment Form. Notarized Statement from the prospective tenant(s) that the apartment will be used for residential purposes only. Applicable to residential dwellings built prior to 1978. Download the Lead Brochure from the documents section of the building page. NOTE: Read form carefully and provide the requested documentation. Provide Certificate of Insurance for Owner. NOTE: Owners must carry a condominium owner’s policy which provides coverage for improvements and betterments, personal property and liability. Owner’s certificate must ALSO have the Condominium AND Century Management Services, Inc. listed as additionally insured. Sales and Leases are subject to the Board's Waiver of Right of First Refusal. Lease Policy: One (1) year lease term. No short term leases. Open House Policy: Not Permitted.